(Newser) – German President Joachim Gauck has become the highest-profile political figure to say "nyet" to next year's Winter Olympics in Sochi, Russia. The former pastor, whose position is largely ceremonial, says he plans to stay away because of the Putin regime's human rights abuses and harassment of the political opposition, reports CNN. 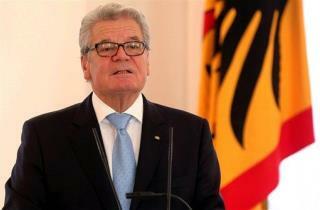 The Russian government has been informed of Gauck's boycott but no comment has been forthcoming. Germans will never reconcile with the horrible defeat they took in two world wars. So to refuse to return to the people who chopped them up like a spiral ham is probably like the article said, ceremonial at best. Germans did some horrible things to Russians. But Germans also remember that prior to the arrival of the Allied Armies, Russia had entered and liberated the concentration camps. But it does not stop there. What is not discussed very often is that Russia started putting the German POW's into the camps and fired up the furnaces in retribution for 30 years of horrors committed upon the Soviet people. Nobody knows for sure how many Nazi Germans went up in smoke before the Allieds showed up and stopped it. The Harsh anti-gay law? Come now, Harsh is how some African countries deal with homosexuality. Those are human rights violations.